This swing set and jungle gym accessory easy to add to any existing outdoor jungle gym. 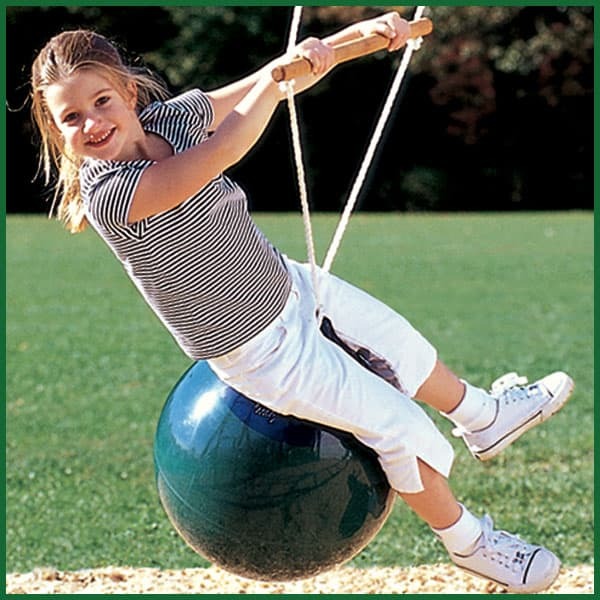 It provides a new kind of swing fun for kids and develops their fine motor skills and upper body strength. This Ball Swing is different than other varieties because of its built in wooden grip. The handle provides a great place to hang on while sitting or moving around on the buoy ball. A heavy duty rope connector is included and is easy to attach to existing play sets.